Our volunteer opportunities give you the chance to connect with and learn about the greater Denver community. We offer a range of civic engagement programs to introduce you to volunteer options just beyond your front door. JWU connects you with service opportunities in our local Park Hill and East Colfax neighborhoods, as well as throughout Metro Denver. Our Leaders In Service program connects students and nonprofits to work toward positive change in the community. Through focused work with a community-based group, you’ll gain a solid understanding of crucial community issues while growing as a citizen-leader. Volunteer experiences give you pertinent career development, and challenge you to employ growing professional skills in service to the community as a citizen professional. Gain the skills to be active in the local political process, and engage directly in political issues that affect you and your community. Make an impact in the metro Denver and Colorado communities. 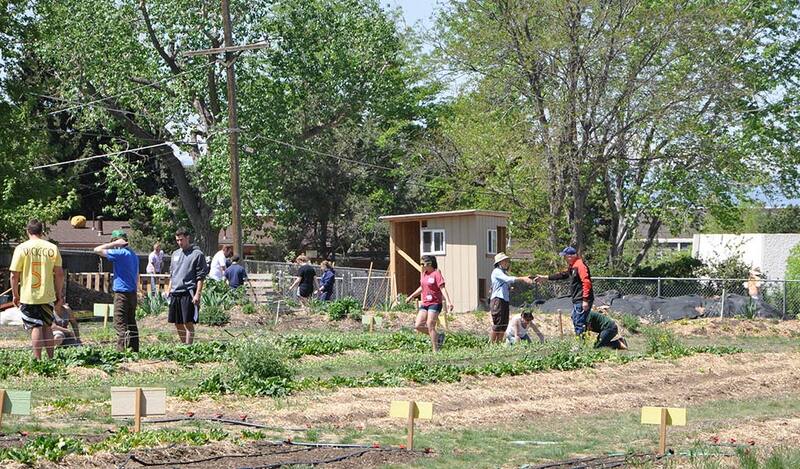 Team up with fellow students, faculty and staff to volunteer with community-based organizations across Metro Denver. Teams have contributed thousands of service hours to food banks, international relief and environmental organizations, public schools, youth groups and more while building an abiding sense of community at JWU. Contact Matthew Reinhard, assistant director of Student Involvement & Leadership, for more information.